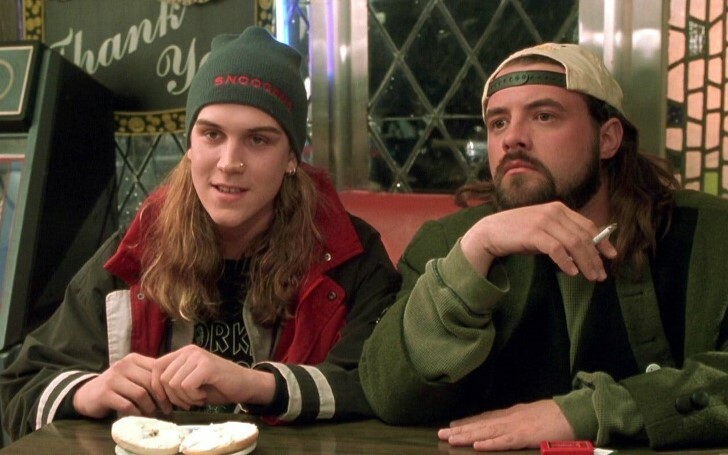 Finally, the long-promised 'Jay and Silent Bob' Reboot' is in early pre-production. Kevin Smith announced the long-promised return of the 'iconic weed dealer duo' Jay and Silent Bob are in the process of being revived. The pothead icons were first introduced from the 1994's movie Clerks. Smith confirmed the production through a tweet on New Year’s Day. The 48-year-old filmmaker announced the long-awaited 'Jay and Silent Bob' reboot is in its "pre-pre-production" along with a photo next to Mewes's wife Jordan Monsanto. The plans for # JayAndSilentBobReboot was first announced in August 2017. After a long hiatus since the announcements, the film is finally set to launch its early production stages. Pre-production for the movie was to be launched last year which was abruptly halted after Kevin suffered a fatal heart attack in late February. 'Jay and Silent Bob' came into prominence after the movie Clerks in which Kevin played silent bob and Jason Mewes portrays Jay, a chatty companion and fellow pothead. Since their debut, they have reappeared in several of Kevin's films including Mallrats, Chasing Amy, Dogma, Jay and Silent Bob Strike Back, and 2006's Clerks 2, where they made their final appearance. With very little disclosed about the production, there's no planned release date for the 'Jay and Silent Bob' reboot.